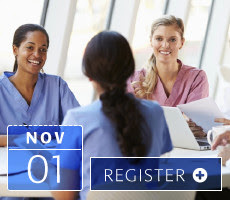 AOTrauma Webinar Highlights October-November 2015-Register now! 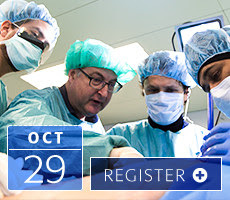 Save the date for the innovative and freely available upcoming AOTrauma “Live Webcasts” and interact with world-renowned experts in a virtual environment! In this surgical live demonstration a safe surgical hip dislocation for treatment of an acetabular fracture will be performed by experts in the field. Tips and tricks for placement of reduction tools will be presented. Like surgery, grant writing is a set of distinct skills that can be learned; success comes with experience of writing and reviewing many grants. This webinar shares with you some of the common fundamental pitfalls and hazards impacting your grant proposals, offering strategies to minimize failures and leverage constructive criticism to your advantage for long-term success.